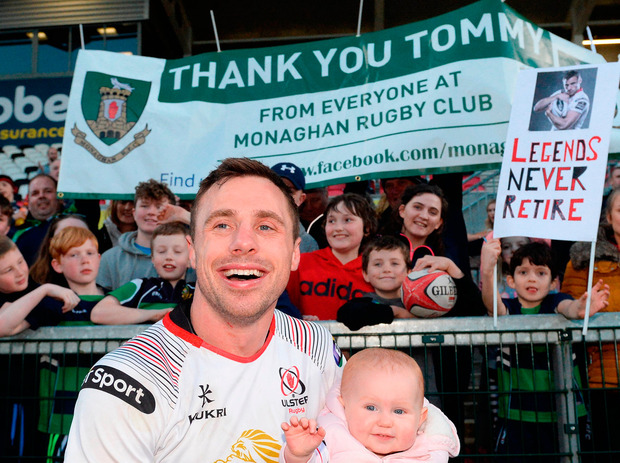 After winning their third game in a row, in a match that saw Tommy Bowe bid farewell to Ravenhill, Ulster's play-off permutations are much clearer, if not quite yet crystal. The lingering chase of Benetton has finally fallen away, with Ulster now six points ahead of the Italians, and the very least they can hope for is a home play-off against Ospreys for a spot in next season's Champions Cup. There is still a chance of getting into the Guinness PRO14 round-robin, too, which would in itself bring a place in Europe's top tier, should they win with a bonus point against Munster next Saturday and Edinburgh take nothing from their own derby clash with Glasgow. Where the picture gets murkier is the potential that a Champions Cup play-off may not be necessary should Leinster win Europe's top prize in Bilbao next month, and all Challenge Cup semi-finalists finish in qualifying places through their league. A pack, which started without Ireland skipper Rory Best, lost Iain Henderson before kick-off after his wife gave birth, and then Jean Deysel to injury early on, still managed to make an impact with Sean Reidy and Nick Timoney both excellent. Stuart McCloskey was the best back on show, while Johnny McPhillips and debutant Angus Curtis also did their stuff.